Mr. Abraham has been practicing real estate law in Northeast Florida for over 30 years. He has lectured on real property leasing issues and concentrates his practice in real estate and commercial lending matters including purchase and sale of commercial properties, development of vacant land, and commercial leasing, including shopping center leases, and landlord/tenant issues. Mr. Abraham enjoys an AV rating, preeminent 5.0 out of 5.0 from Martindale Hubbell Law Directory. Mr. Abraham was born in Vicksburg, Mississippi. He is a 1980 honors graduate of the University of Mississippi with a Bachelor of Arts in English and Applied Music. While at the University of Mississippi, Mr. Abraham was selected for a music scholarship and was a performing recruiter for the University. 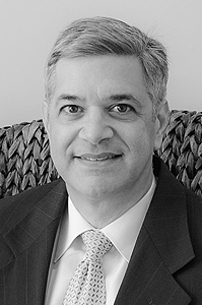 Mr. Abraham attended Tulane University School of Law, graduating with his juris doctor in 1984. While at Tulane, Mr. Abraham was elected Class President and for two years served as a legislative representative to the student bar association representing his class. Mr. Abraham is currently a member of The Florida Bar, and its Real Property Section. Mr. Abraham is a past member of the legislative and legal issues committees of the Mortgage Banker’s Association of America, the membership committee of the Arts Assembly of Jacksonville and the Tulane Alumni Admissions Committee, and the Communications and Technology Committee of Jacksonville Community Council, Inc.